One of my least favorite parts of grocery shopping (which is not a favorite chore of mine to begin with) is coming up with a few weeks’ worth of meal ideas. I spend way too much time trying to think of meal options that the whole family will like but that we haven’t had in the past two weeks. Each week I do an American night (aka burgers or hot dogs), a “breakfast for dinner” night, and at least one night each for Mexican, Asian, and Italian meals. But after having spaghetti for the third time in a month, I am kind of sick of boiling pasta and adding sauce. When I saw that Kroger is currently featuring their Taste of Italy promotion, I decided to create a new twist on our standard Italian night fare. 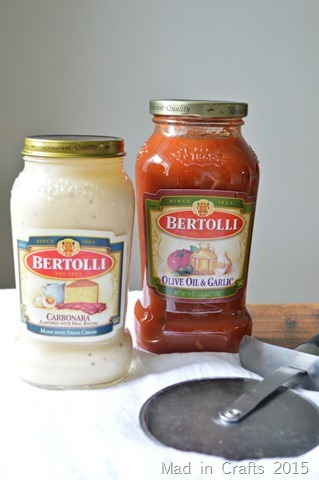 I still picked up my trusty Bertolli pasta sauce, but I used it in a new way. I grabbed both a Tuscan-inspired olive oil and garlic red sauce and a jar of carbonara sauce to create two different pizzas. 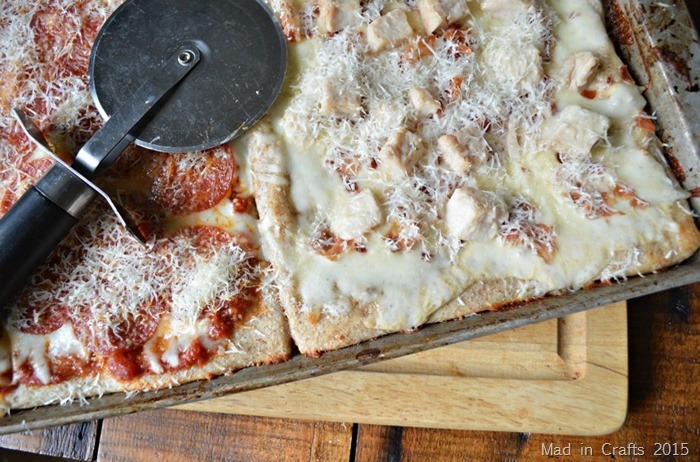 I topped whole grain pizza dough with the sauces and mozzarella cheese. On the red sauce pizza, I just added pepperoni for my picky kids. 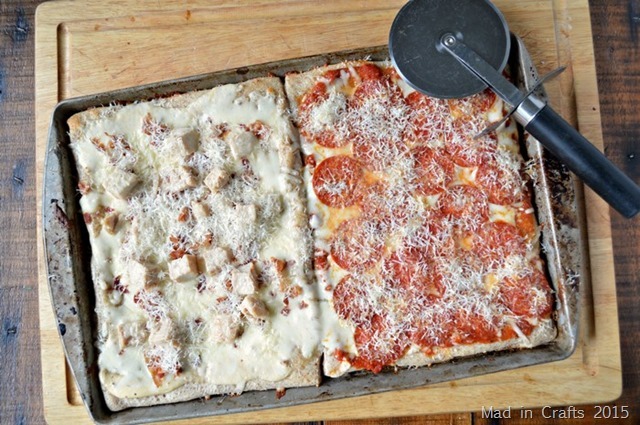 On the white pizza, I crumbled cooked bacon and chopped chicken. I topped both pizzas off with some freshly grated parmesan cheese. I served the pizza with a pretty mixed green salad for an Italian-inspired dinner that my family loved and that I enjoyed cooking!